In a discussion on CNBC’s ‘Fast Money,’ the traders on the show discussed on trading in bank stocks ahead of the earnings release, with anchor Scott Wapner. 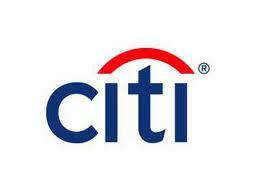 The traders also discuss on the stock of Citigroup Inc (NYSE:C) and the regulatory challenges it is facing currently. Seymour was referring to the recent news about a possible deal between Citibank and the Justice Department to pay $7 billion for the purpose of settling allegations on the sale of mortgages during the financial crises which contributed to the crisis. This settlement is meant to avoid Citigroup Inc (NYSE:C) getting into a Federal lawsuit over the issue of mortgages. While the bank was looking to offer around $4 billion, the government is targeting to settle the issue at around $10 billion, which the bank found to be very excessive and objectionable. The reason Citigroup Inc (NYSE:C) is looking to avoid a legal battle is the time and money that would be spent on the same. Moreover, such a legal tussle could affect the bank public-relations. As Wapner pointed out to the fact that as far as various regulatory issues are concerned, they have been around for at least 25 years, one of the traders said that all these issues could be priced into the stock and the right time to buy the stock is when no one is looking to buy it, and that’s the reason right now everybody is looking at Citibank.